The intensity and quality of Kentucky Derby 2019 prep races picks up steam this Saturday in New Orleans with the Louisiana Derby (G2), that has attracted 11 3-year-olds stretching out to 1 1/8 miles. While War of Will has won his last three career starts, including a pair of graded stakes over the course, he is far from the lone logical contender. Country House went from maiden win to be second, running greenly, in the Risen Star (G2) behind only War of Will in their last starts. The others to watch, I believe, are Sueno and Spinoff. Spinoff has won two of his three career starts and is trained by Todd Pletcher, while Sueno has two wins and two seconds from his five starts for Keith Desomeaux at four different tracks and has been working sharply for this race. Fact is, all of these contenders are not only in good hands, but are just one good performance away from becoming primary Kentucky Derby contenders. The same can probably be said for several of the longshots in the field given they get ideal trips for their running styles. In particular, the Tom Amoss-trained Roiland has shown a strong late kick that could prove quite effective if longshot front-runner Lemniscate hooks up with War of Will and/or Spinoff during the early stages. Overall, this is an intriguing race that could provide useful clues for the next round of Derby prep races. Speaking of which, there will be another Derby prep race on Sunday, the Sunland Derby, which doesn't feature nearly the depth of its Fair Grounds counterpart. 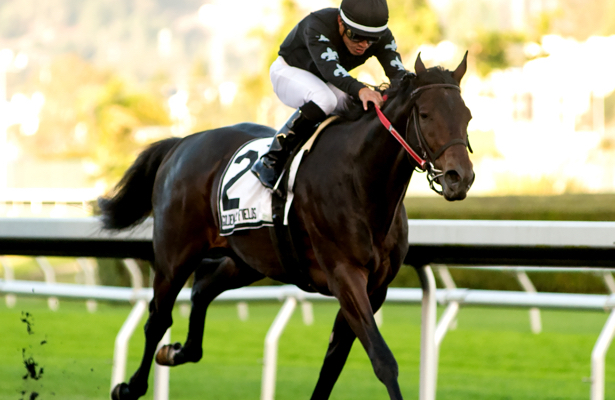 The two most-prominent contenders come from California: multiple Grade 3 winner Mucho Gusto and Anothertwistafate, winner of the El Camino Real Derby (G3) on synthetic last time. That said, there will be significant support for the locally based Hustle Up, who is a perfect 4-for-4 at Sunland, while others worth including on tickets are the Steve Asmussen-trained Wicked Indeed and local longshot Walker Stalker. Circling back to the Louisiana Derby, I'm leaning slightly in favor of Sueno as the best play in a weekend prep, as he has finished well in his last four starts and offers a finishing kick that could be helped by the expected early pace that will set up his best rally. Beyond Sunday's Sunland Derby, we'll look ahead to the Florida Derby on March 30 before a blockbuster Saturday, April 6, offering the Santa Anita Derby, Blue Grass Stakes and Santa Anita Derby. Stay Tuned. The game is about to heat up!